Auditions will be held at the Opera Birmingham offices (3601 6th Ave South). 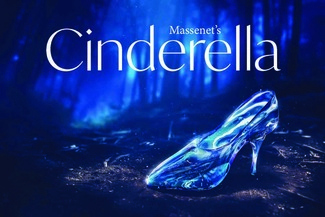 Cinderella rehearsal information: Rehearsals will begin on February 29, 2020; performances will be March 20 & 22, 2020 at the Wright Center. If cast, singers should be available for rehearsals in the evenings (Mon-Fri) and weekends (multiple sessions on Saturday/Sunday). A general schedule will be distributed with contract offers, with a more specific schedule supplied prior to the start of rehearsals. All soloists should plan to sing with the ensemble scenes as appropriate. For All Auditions: Please bring at least two classical pieces (opera, oratorio or song literature) for the audition. You will choose your first piece, and we may or may not choose to hear a second selection. Also bring a performance resume and headshot (if you have it). A pianist will be provided for all auditions. If you have any questions, please contact us at 205-322-6737. I want to be considered for Dean of Faculty or Master of Ceremonies. I am flexible. I am very excited to audition for any available mezzo roles! I’m interested in the Herald role.